We know that your brand is important to you, which is why we've worked hard to make Podia beautiful for you and your members. 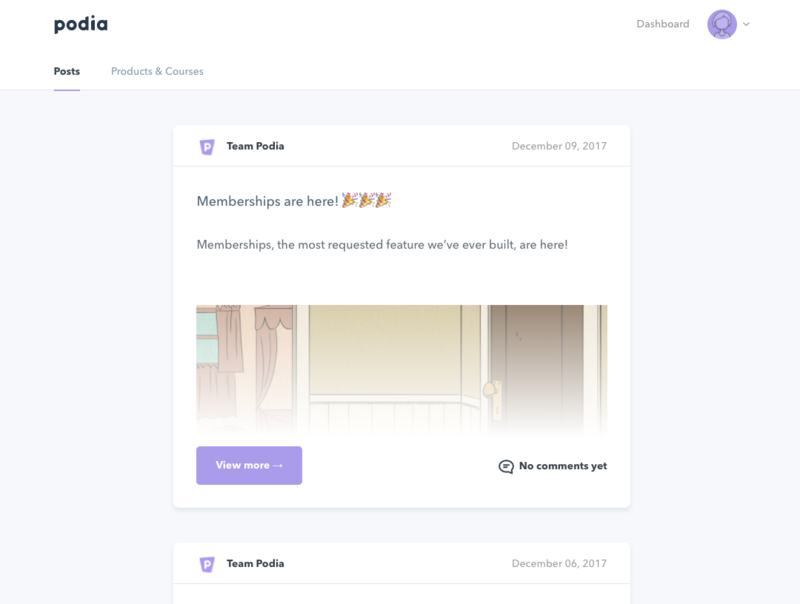 We'll have a Preview feature released soon, but in the meantime, you can check out our Podia Community to see what a Podia Membership site looks like through the eyes of a member. It's free to sign up, and you'll be able to kick the tires and try out all of the features that your members will be using. If you have more questions about how to set up your Membership, reach out to us at [email protected] (or click the icon below to chat with us! ).